Sometimes it can be hard to find the motivation to get outside. The weather recently has had even my outdoor loving adventurers reluctant to leave the warmth of our house. 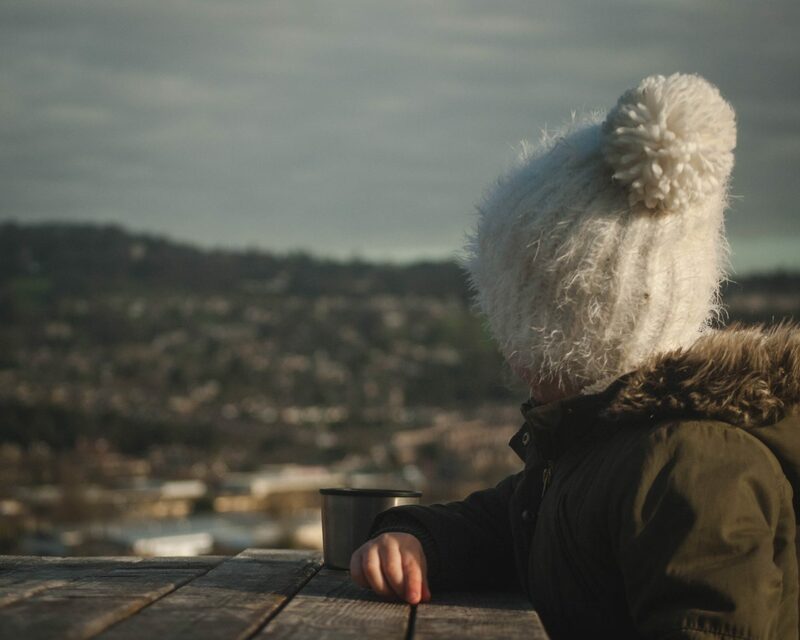 Our adventures have been getting shorter and shorter but instead of fighting against it, I’m embracing this period and planning fun little trips to encourage the girls outside despite the cold. A few weeks ago (before the snow arrived) we went on one such mini adventure to the local city farm. 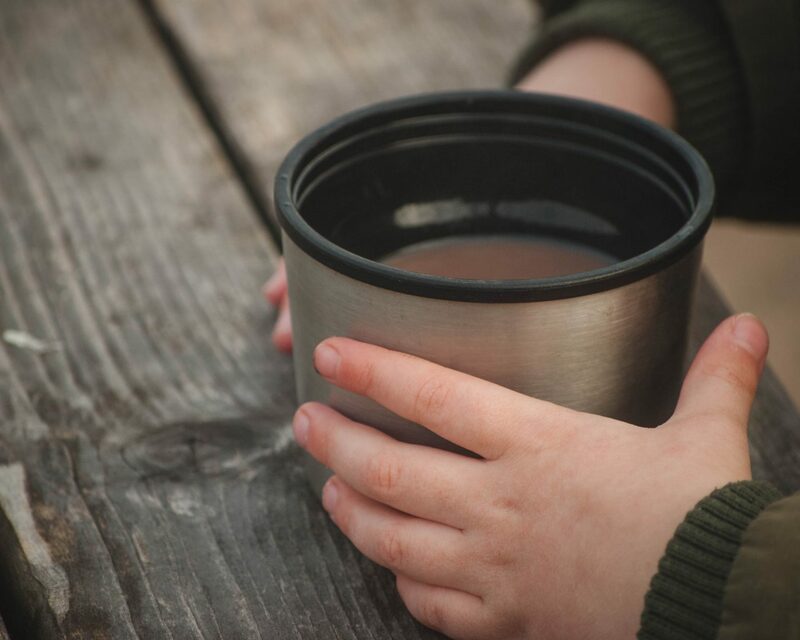 The whole adventure was about going for hot chocolate at the farm. 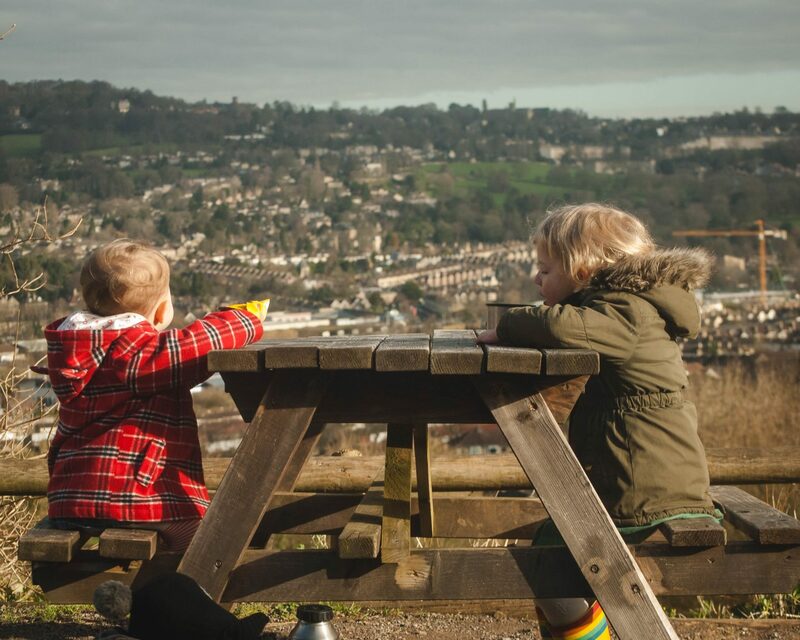 It’s within walking distance for us albeit up a giant hill and ended up being the perfect example of how a day out doesn’t have to be grand and far from home to be the perfect escape. Once we’d made it up the hill we spent a while watching the animals before heading to the main event, the hot chocolate. 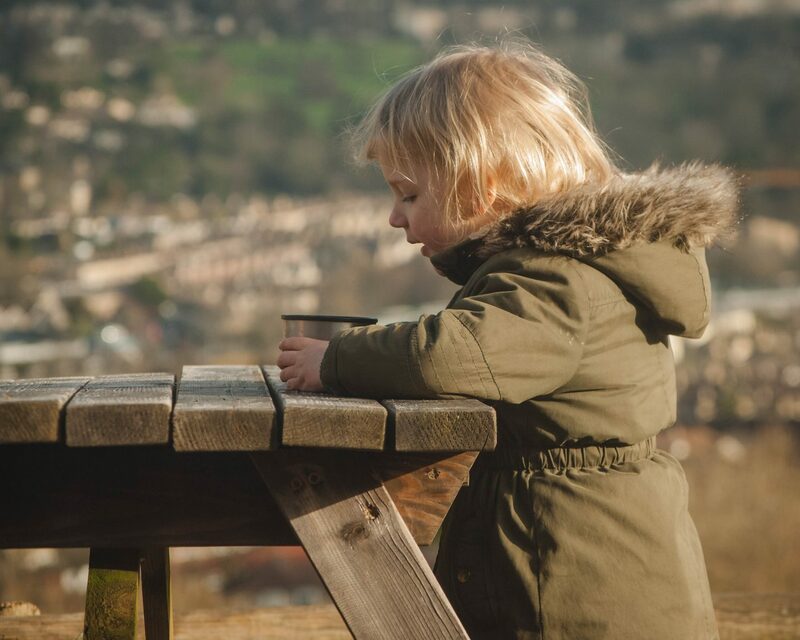 I’d packed a thermos as the cafe is closed in the winter and we shared it whilst admiring the most amazing view of Bath. 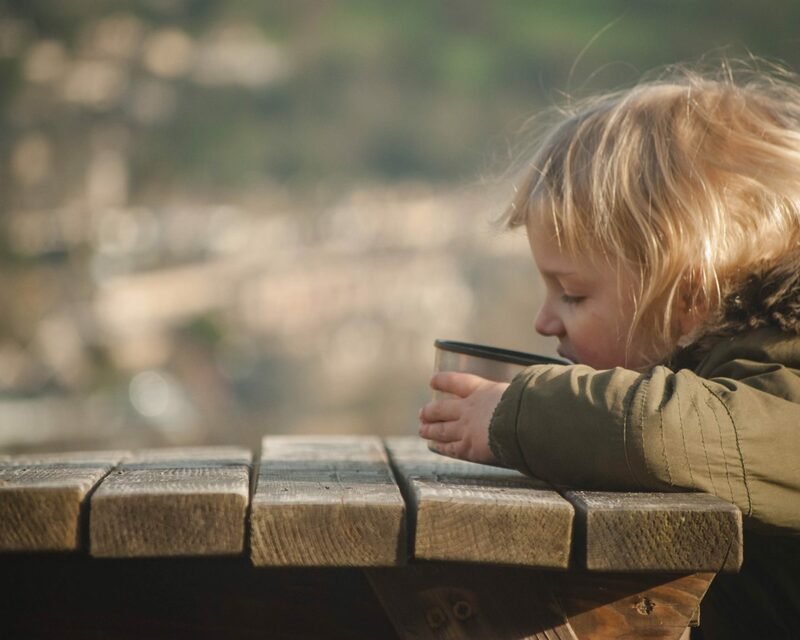 It felt like we were a million miles away when in fact we were about 20 minutes walk from our house and Lyra was so excited to drink the hot chocolate! Despite it being the same as the stuff she would drink at home it tasted so much better after she’d earned it walking up the hill. Perfect! Once the Thermos was empty there was time for a quick play in the park there before we made the journey back down the hill to our home and warmth. I think we were only out a couple of hours but both girls loved it and felt like they’d had a real treat. 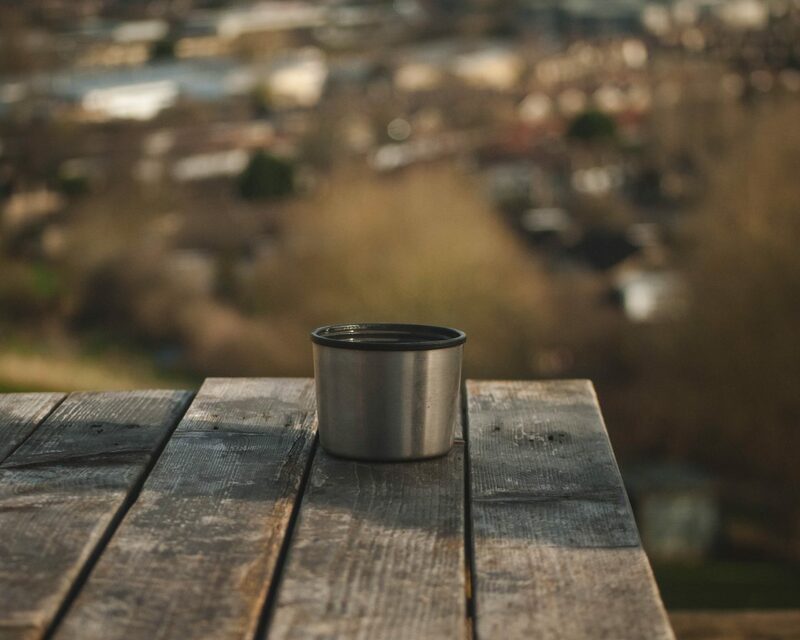 And I got a chance to drink a hot drink in the outdoors with that beautiful view and that felt like a treat for me too. 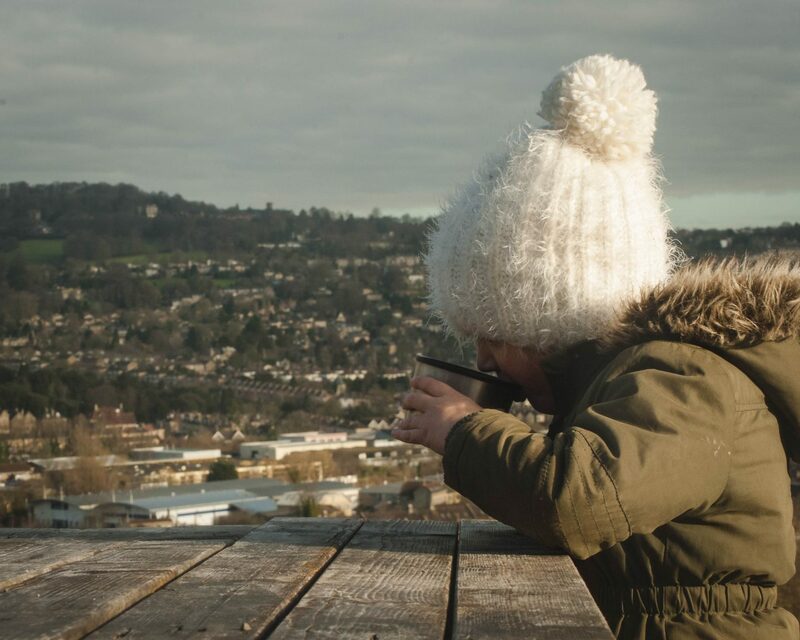 Hot chocolate with a view was one of the things on our winter bucket list and I’m so glad we managed to tick it off. sounds like a lovely day out. love the idea of hot chocolate with a view.